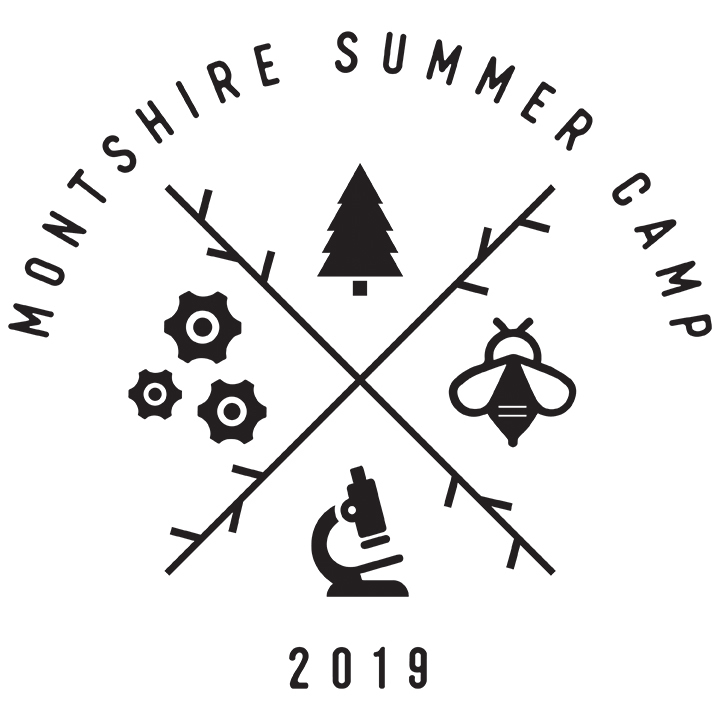 What makes Montshire Summer Camp the best science and nature camp in the Upper Valley? The highly-trained staff, terrific programs, great facilities, and the low camper-to-staff ratio. The majority of Montshire Summer Camps are based outdoors at Montshire’s 100-acre campus in Norwich, Vermont. We also offer programs at the Ray School and Storrs Pond in Hanover, N.H., and at Crossroads Academy in Lyme, N.H.
Montshire Summer Camps maintain a low camper-to-instructor ratio (ranging from 4:1 for our preschool program to 6:1 in our camps for older children) ensuring individual attention is given to each camper. The college-aged or older staff members are well-trained and knowledgeable. They have a variety of interests and experiences, and a love of working with children. Each staff member undergoes extensive training by Montshire’s full-time science educators, and is proficient in safety and first-aid procedures. Applications are processed in the order they are received. Programs fill quickly so register early! You will have the opportunity to become a member on the online registration form if you so wish. Save when you register your child for more than one session of summer camp. A Montshire Camp T-shirt is a special memento of your child’s week at camp. T-shirts may be pre-ordered with your registration for $18. A limited number of camp T-shirts will be available during the summer in the Museum Store for $23.99 for those who do not pre-order. With the Extended Care Option, your child may be dropped off at the Museum as early as 8:15am and picked up as late as 5:15pm. This is supervised but unstructured play. Available only for children entering grades 1–8 and enrolled in programs held at the Montshire site. $75/week for programs that end at 3 pm. $45/week for programs that end at 4 pm. Scholarships for Montshire Summer Camp are made possible by donors to the Montshire Auction’s “Fund a Need” program, and donors to the Montshire Fund. Complete these forms and be a part of the Montshire Summer Camps! Discover the amazing outdoors, experiment, explore and more! Join Outdoor Discovery (our most popular Montshire camp) or try our Science Camp. Summer is all about exploring, nature, experimenting and inventing! Ready for your next adventure? Choose from our exciting camps! Follow your interest while learning something new at the Montshire this summer!